To extend a network capacity to a specific location, one of the most attractive use cases is to make the network portable or mobile, enabling private local communication as well as efficient backhauling to a central location or to edge nodes. A portable network can be installed and configured at the specific use case location in a matter of minutes and remain in use for a specific duration of time of the use case (such as for fairs or for construction sites). Communication over unreliable wireless backhaul – especially for the mobile network, the backhaul connectivity quality is varying while mobile. 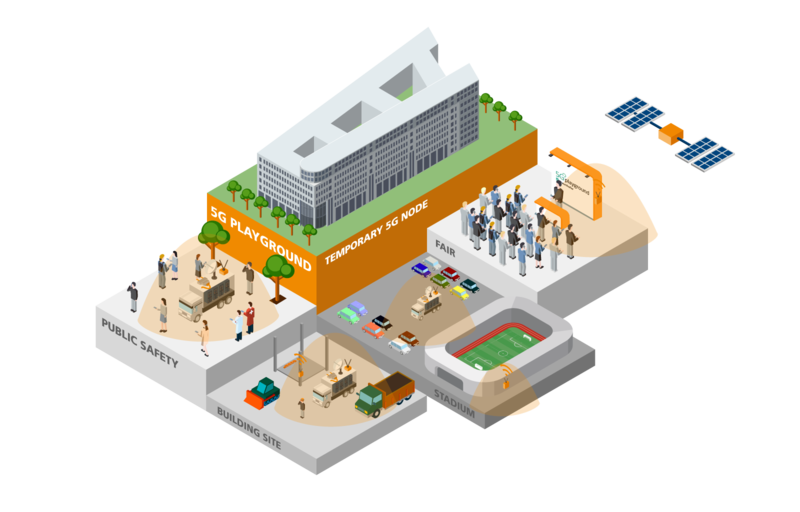 The Portable 5G Edge Network was specifically designed to be able to showcase the different use cases at the use case location when needed and according to the use case requirements.